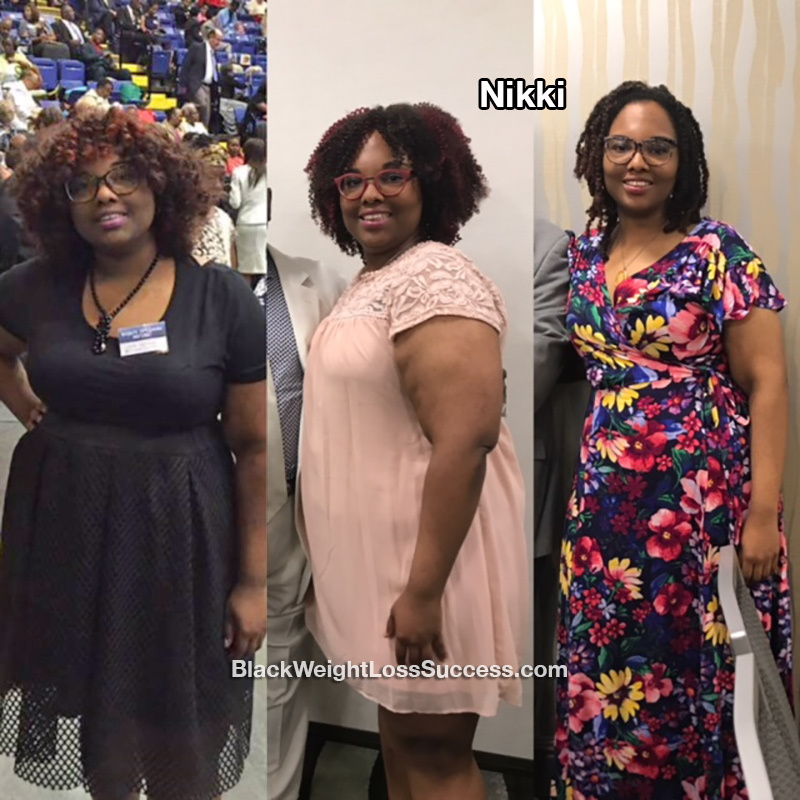 Transformation of the Day: Nikki lost 70 pounds. She became the caregiver for her mother after she had 3 strokes. 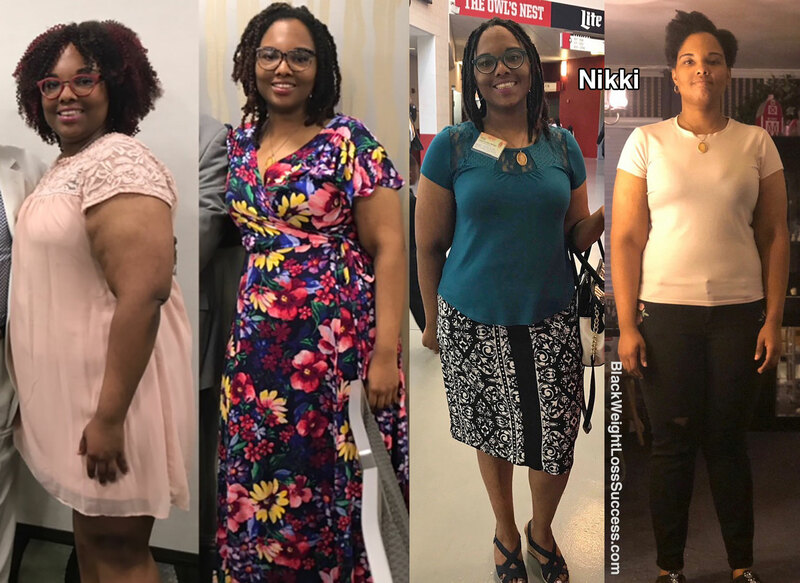 Seeing first hand how diabetes and high blood pressure can ravage the body influenced her decision to make some major lifestyle changes. Check out her story. I have been overweight since I was around 10 years old. I remember the pediatrician telling my mother that I was 60 pounds overweight and that if I stopped gaining weight, it would level out in my teen years. Fast forward to the summer of 2013. I was still overweight, but confident and loving my life when my mom (a 46-year-old Type 1 Diabetic) had a stroke. By October, she’d had two more strokes with the last being the most severe. The next three years of my life became a struggle as I became the caregiver for my mom. Seeing up close what diabetes and high blood pressure can do to your body made me want a change. I began to consider weight loss surgery. When I lost my mom in October 2016, I’d completed all the steps to be approved for surgery, but something felt off. I got a second opinion, and I was urged to wait because I was still going through the grieving process. I am so happy that I waited and that I didn’t have weight loss surgery! Instead, I took the time to cry and process the previous three years. I focused on healing myself and realized that it was ok not to be ok. Suddenly the weight started falling off! I started eating less. I don’t deny myself food I like, I just eat less of it. I try to eat a lot of protein and veggies as well. I don’t eat as much fried food. I don’t crave fast food anymore, and it makes me sick when I eat it now. Most of the time, I take my lunch to work, and that saves me money. I really learned that moderation is the key. I’m in a plateau right now, so I’ve actually had to increase my calories, which has been weird. I work out 2-3 times a week for an hour. I do Les Mills BodyPump and kickboxing sometimes (but kickboxing is hard on my asthma). I really like BodyPump because it’s suitable for all fitness levels. It’s a total body weight training workout set to music. In the beginning, I weighed 283 pounds, and now I weigh 213 pounds. My goal is to lose 100 pounds. My height is 5’6″. I’ve learned that I can survive in this world without my mother and that I’m stronger than I thought. I’ve also realized that I am actually going to achieve my fitness goals for the first time in my life. Never say never! You really can do it. Don’t let others push you into something that isn’t right for you. I almost got a surgery that I didn’t need. The most encouraging advice ever. I love you, my sister! Awesome job my sister! So sorry to hear about your mom. My mom is a diabetic with high blood pressure and cholesterol issues. She hasn’t had any serious health issues like a stroke (Thank Jehovah) but I see the other bad effects and don’t want the same for me. I was recently diagnosed with prediabetes and of course, I’m nervous!! Looking at your and other stories gives me motivation to change my bad health habits (eating sweets, carbs, fast food) for the better. Thanks so much for the encouragement! Nikki, thanks for sharing your story. It is both beautiful and inspiring! I’m glad you took the time needed to weigh your options before diving into a decision that couldn’t be reversed once completed. The grieving process is truly a process (it lasts as long as it lasts), and you’ve learned to stand still vs running while going through it. You are beautiful, brave and strong. I’m also glad you’ve come to terms with “life” and all that comes with it. The sky is the limit. Keep soaring!